I’m extremely proud to have won these awards. With votes cast by eligible brides and an extremely rigorous judging process, they really are the best in our industry. I’m also delighted to have been invited by TWIA to join their expert judging panel for 2019. Previous clients always speak highly of my bridal services. Not only do they recommend me to newly-engaged friends and family, they often return for other hairdressing services long after their own wedding has been and gone. I’m fully qualified in every aspect of hairdressing and can address all your haircare needs. I come from a family of hairdressers, so I knew from an early age I wanted to be part of this creative industry. 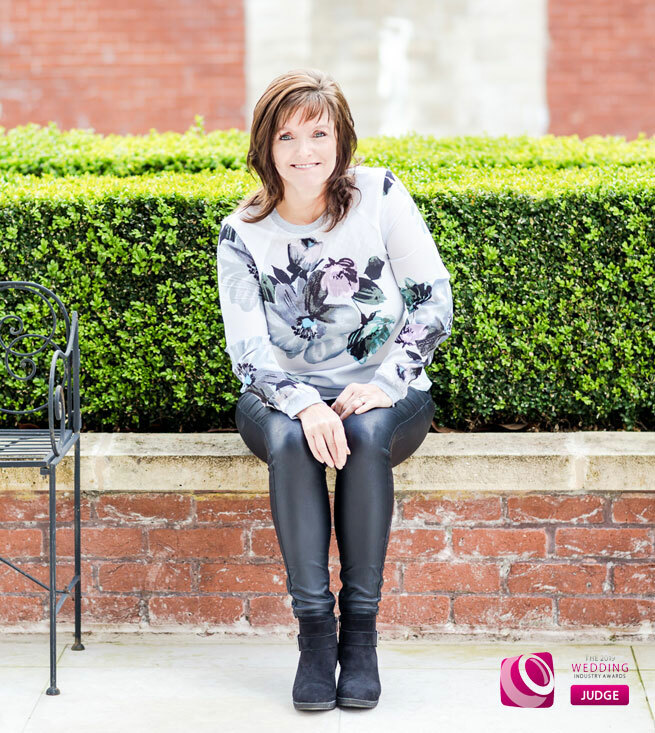 Having started out as a Saturday girl for my mum, I went on to develop my skills in other salons, acquiring everything I needed to excel at my craft. As a member of the Freelance Hairdressers Association, I update my skills every year, frequently attending industry seminars and trend-led masterclasses to motivate and inspire my work. Keen to share my knowledge and experience, I now run my own workshops aimed at helping other bridal hairstylists refresh, develop and improve their businesses. Working closely with bridal boutiques and other wedding industry colleagues, I continue to push myself creatively, regularly styling hair for editorial photoshoots, media events, bridal fashion catwalks and ‘pop-up’ mini-salons. 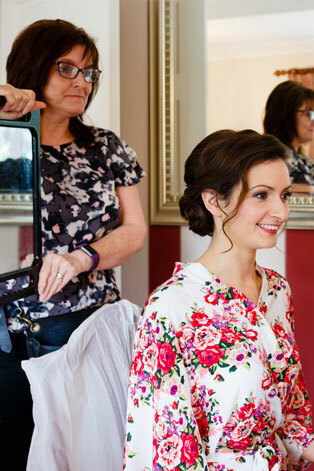 Mainly styling hair for weddings and events throughout London and Surrey, I’m also happy to travel further afield. I’ve covered a number of destination weddings and love discovering beautiful new venues across the UK. After all these years, hairdressing remains my biggest passion. I’m constantly striving to improve my craft and provide a better service for my clients. 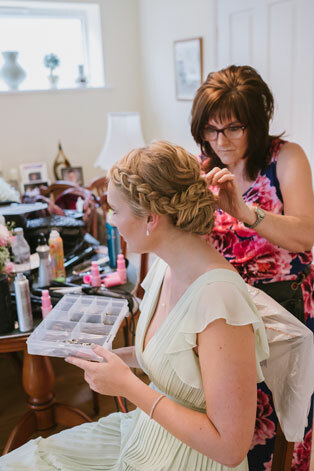 I never tire of talking hair and I’m always happy to offer help and advice, whether you need it during the run-up to your wedding or long after the confetti has settled! ‘Sharon was amazing. We had two brilliant hair trials (because I couldn’t make up my mind!) and she was so helpful. She also had lots of great advice for the wedding as a whole. On the day, she was supportive, helping everything run smoothly, and mine and my bridesmaids’ hair looked fabulous. The best part was that it lasted all the way through to the early hours of the next morning!